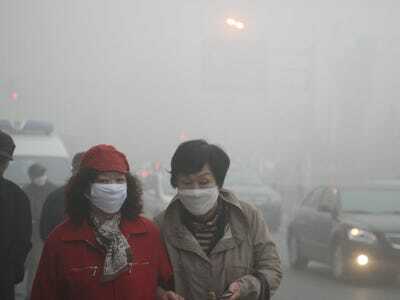 People in China are now dealing with dense fog on a surprising number of days out of the year. 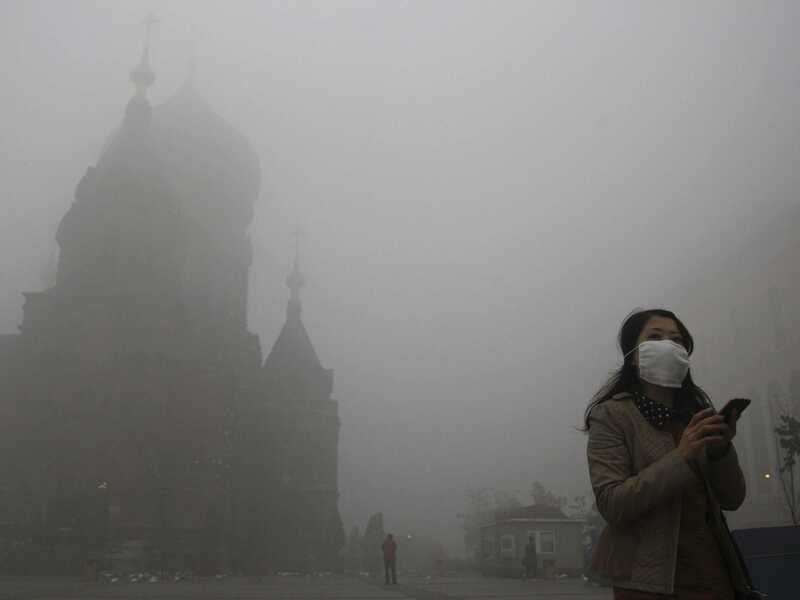 In this image showing a year of smog in Beijing, some days look perfectly clear while others are greyed out from pollution. China’s smog problem has gotten so bad that gas masks have become a fashion statement and travel companies have started offering “smog insurance” to travellers. The country is facing an unprecedented pollution problem due to years of heavily accelerated economic development, AFP notes. 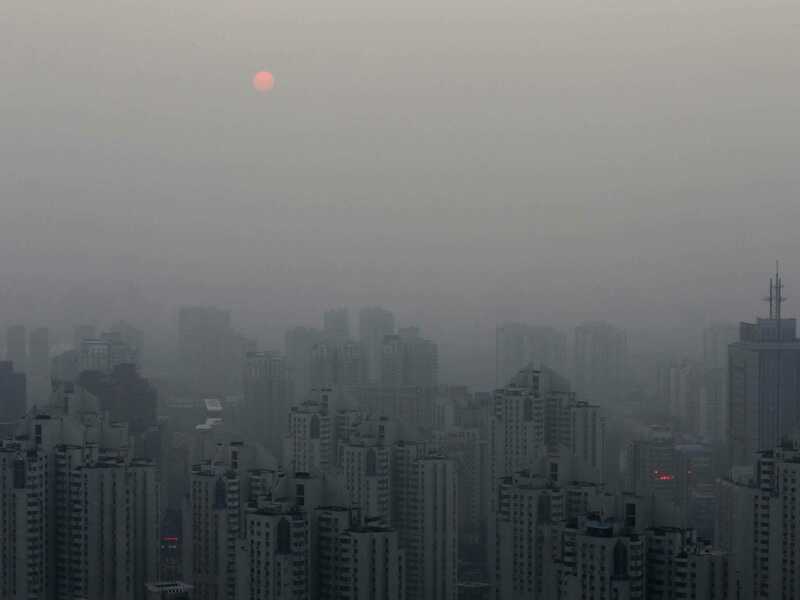 REUTERS/Barry HuangThe sun sets above residential buildings on a hazy day in Beijing, September 20, 2014. Chinese banks, property developers and regional governments are intensifying efforts to drag the housing market from its worst slump in two years by allowing people to buy more than one home, slashing prices and launching unorthodox promotions. Picture taken September 20, 2014. The smog gets so bad sometimes that the children and elderly are told to stay indoors and schools shut down. Cities in China put certain orders into effect once smog levels rise above a reading of 300 — but the World Health Organisation recommends levels of no more than 20, according to Reuters.